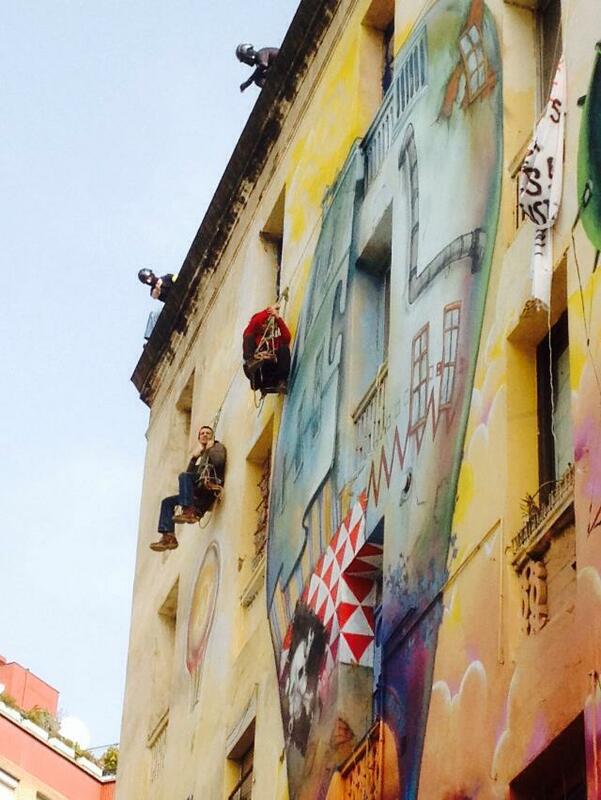 Starting at 12:00 yesterday around 25 vans full of riot police (reports put the number of police at around 300) with the help of an extremely-cheap-to-fly helicopter invaded the squat and social center La Otra Carboneria and evicted its residents. The operation went on into the night with small groups of residents putting up resistance where they could and hundreds of protesters gathering outside the building. It’s a relief that the operation was finally completed successfully and Barcelona will never again have to deal with an iconic landmark of community spirit and art. We don’t have to be shamed by the availability of free workshops on skills such as drawing and tailoring, educational talks and debates, space to hold dance and music classes, and even free food. This was a serious problem for the city, and frankly the city had supported it by doing nothing, for far too long. We are talking about people living under shelter, being independent, holding their heads high and doing things for free because they believed society should be more human and giving. It’s enough to make your stomach turn. The building had been occupied by La Otra Carboneria after it was abandoned by the estate agent FBEX Promo Inmobiliaria which went bankrupt. Since then the space has shown alarming signs of thriving and engaging local residents. The vice president of the neighborhood association of Sant Antoni, Toni Sanchez, had the gall to say that he actually liked the squat which provided an important free and open community space. Clearly a man of low principles and poor judgement. Some misguided people who object to this eviction and destruction will be gathering to demonstrate at Placa Universidad tonight at 20:30. I may be there. My intelligence was a bit off, the demonstration in Placa Universidad happened yesterday but the usual Thursday community dinner is happening tonight outside the building. Residents suspended themselves from the roof of the building to protest their eviction. Photo courtesy of Thomas Tully. 🙂 Sarcasm font, now there’s an idea.